Welcome to the penultimate day of Red Lip Week! 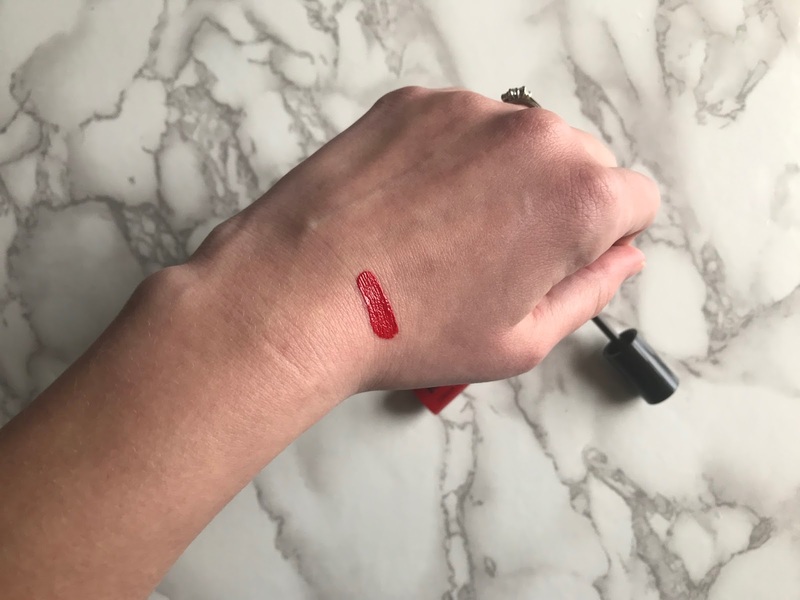 I wanted to include a drugstore red lip option in this series, and NYX liquid lipsticks have such a good reputation that I thought I'd try one out. Today's red lip is NYX Liquid Suede in Kitten Heels. It's a true brick red. I LOVE the colour. 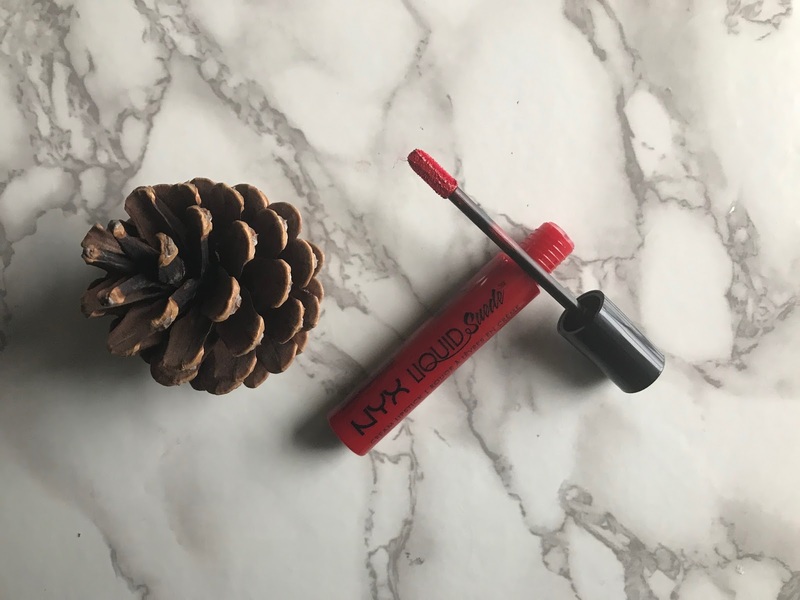 One layer of the NYX Liquid Suede in Kitten Heels gives you quite an orange-toned red, and the second layer takes it to true brick red status. One of my favourite things about this lippie is the applicator. As you can see from the pictures, it's quite long and thin with a slightly flat, domed shape. It's also very flexible. This makes it super easy to apply it exactly where you want it, without any "migrating" of pigment. 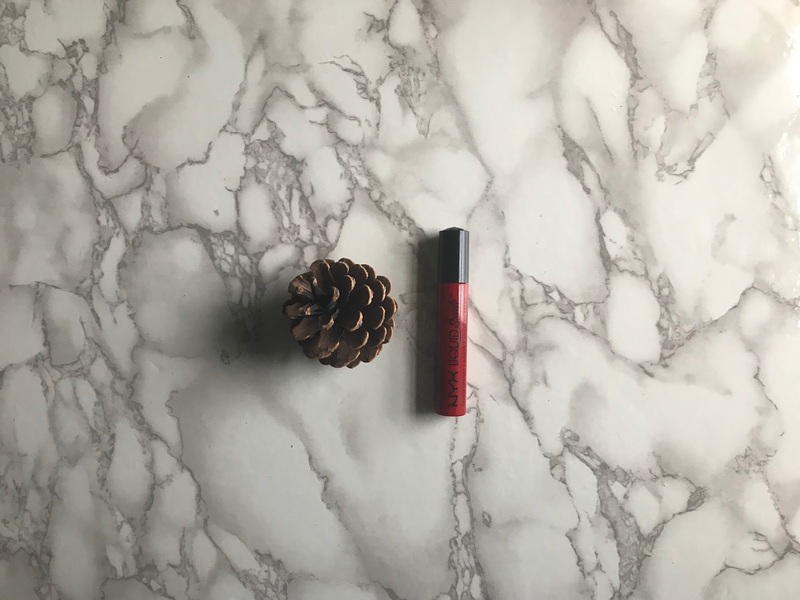 It's super easy to line your lips with this as well, so you end up getting a great shape without any fuss. The pigmentation is brilliant--you get full opacity in one swipe, but as I mentioned, I like to layer it up for a deeper colour. The pictures at the end of the post show how it looks in natural light, but away from the window, and then in direct sunlight. Does it pass the Holiday Feasting Test? Well, it unfortunately doesn't pass the Holiday Feasting Test. I wore this whilst eating an extremely greasy salmon dinner, and it took off most of the pigment on the lower lip (upper lip was ok). That having been said, it layered up super well and there weren't any issues with texture when touching it up. Also--critically--it passed the equally-important Holiday Cocktail Test. This didn't even transfer onto the wine glass! This isn't the best for your holiday dinner, but it is GREAT for your holiday cocktail party, as well as any and all wine you might need to consume to get yourself through Christmas dinner without bringing up Tr**p or Roy Moore. And at only £7, it won't set you back too much.